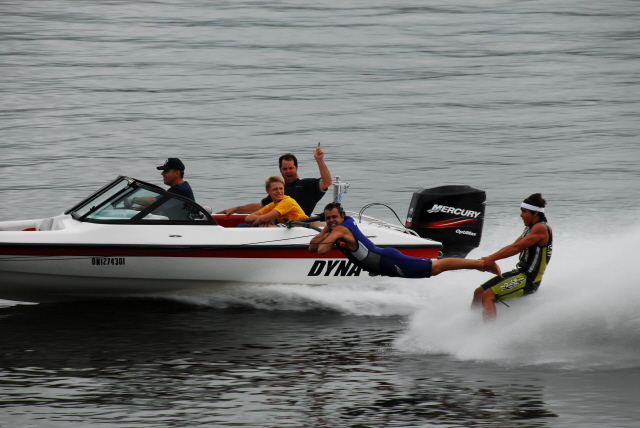 Dyna-Ski Boats: What makes a decent water ski boat? I get a lot of people shopping Dyna-Ski boats which is great! 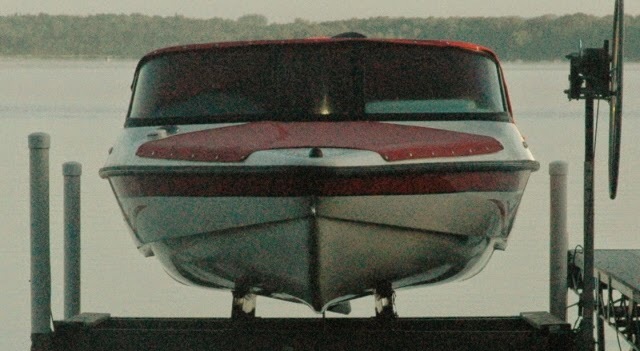 There are several boats around similar in size to the 17.6 Open Bow Dyna-Ski. There are runabouts, fishing, fish & ski, bass, deck and pontoon boats. They are not tournament style water ski boats. pictures of boats pulling skiers in most boat companies ads? 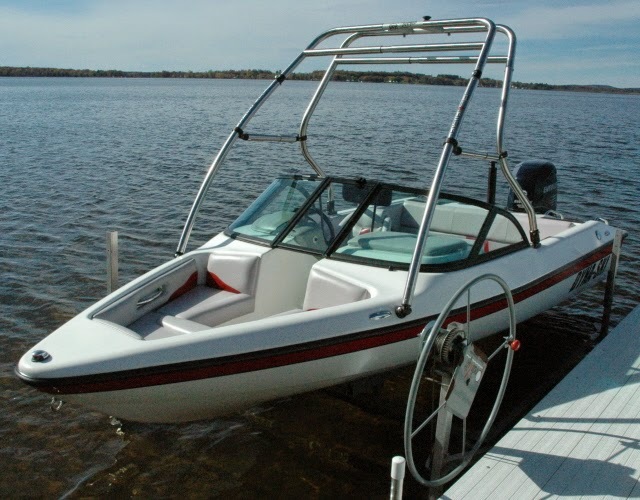 A Dyna-Ski 17.6 is a tournament style water ski boat. idle to 40+ mph for barefooting. We do an excellent job of this. 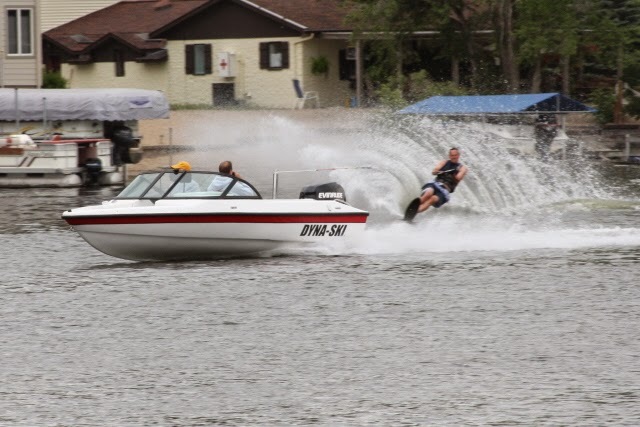 With a water ski boat you don't want the bow up in the air while you are pulling skiers. It isn't safe either. 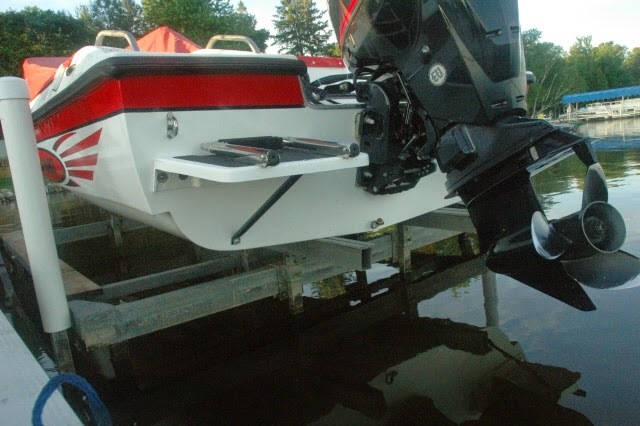 Dyna-Ski boats have very little bow lift from idle to wide open. A water ski boat needs to hold steady speeds from idle to 40+ mph because people ski at all these speeds. A Dyna-Ski will hold steady speeds in this range. At faster speeds trimming up the Dyna-Ski boat motor slightly flattens out the boat's ride, decreases the boat's bow steer and makes the steering easier. I don't know how the runabouts, fishing, fish & ski, bass, deck and pontoon boats preform and I don't care as Dyna-Ski Boats do what is needed for water skiing! Not many people still fly flat wing kites but it is nice to know that you could pull one if you ever need to perhaps? 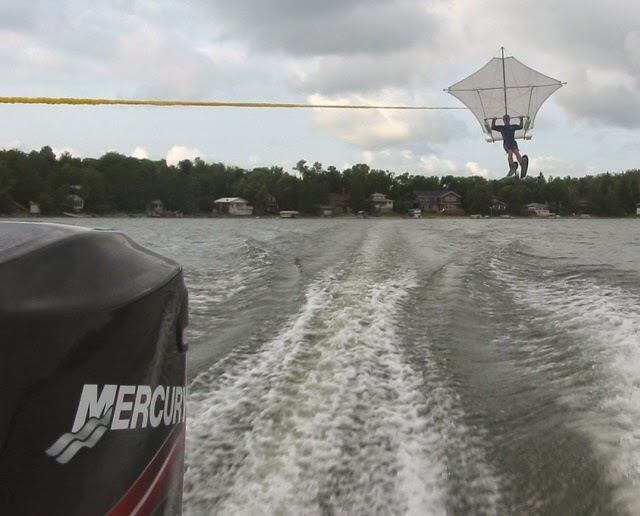 We have flown a parasail behind my 17.6 sadly I never took any pictures. We can add most anything you want if you like, it just costs money. 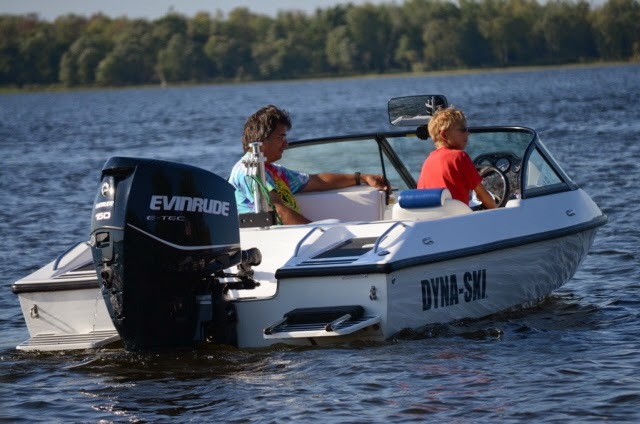 We build Dyna-Ski boats for water skiers. We must be doing a decent job as we sell boats and most people keep them forever . . . . . . . If you are shopping price I don't know how the others compare. The outboard motor prices should all be about the same. Same thing for trailers however I put very nice custom trailers under Dyna-Ski Boats unless the buyer wants to save a few hundred bucks with a cheap trailer. Your boat will spend a lot of time on the trailer so I think it is worth the money. Fiberglass boats cost more than aluminum boats. GPS Speedometer is awesome but not cheap. Please feel free to share with me what the other boats sell for. You pay your money and you get what you want at Dyna-Ski. No matter how we rig the Dyna-Ski boat & what you pay for it you it will have a very good water ski boat.